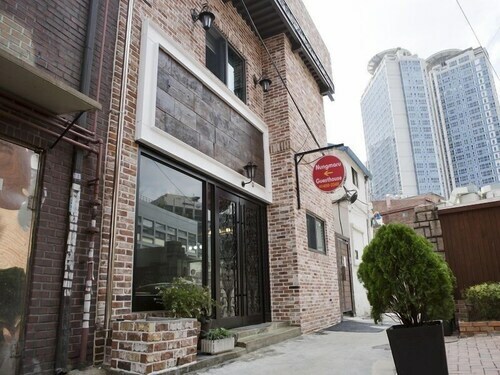 Located in Myeongdong, this guesthouse is within 3 mi (5 km) of Gwanghwamun, Bukchon Hanok Village, and Ewha Woman's University. YG Entertainment Building is 5 mi (8.1 km) away. A bar/lounge, dry cleaning, and laundry facilities are available at this smoke-free guesthouse. WiFi in public areas is free. Additionally, express check-in and tour/ticket assistance are onsite. All 25 rooms offer free WiFi, flat-screen TVs with cable channels, and hair dryers. Showers and free toiletries are also available to guests. Limited housekeeping is available. Nungmaru Guesthouse features tour/ticket assistance, laundry facilities, and dry cleaning/laundry services. Wireless Internet access is complimentary. A bar/lounge is on site where guests can unwind with a drink. Nungmaru Guesthouse is a smoke-free property. Rollaway/extra beds are available for KRW 10000.0 per night.